Where do I begin? Well first I guess it's only fair to say that CP Bialois isn't my real name. It's a collaboration I made out of the three greatest pets anyone could ever want. My real name is Ed and I'm just an average person that has found a way to do what he loves. For as long back as I can remember I loved to pretend. Whether it was with my Transformers, GI Joe, or He-Man toys I loved to create intricate plots and have them fight it out. As a fan of horror, science fiction, action, and comedy I dare say my taste in movies are well rounded. Some of my favorites were Star Wars, Star Trek, martial arts, and anything with Swarzenegger in them. I'd write my own stories about the characters I saw in the theaters or TV or I'd just daydream about what I'd see myself as the hero of course. You can't have a daydream without beating the bad guys, getting the girl, etc. It's just not right to envision yourself as a flunky or sidekick. As far as books I loved Sherlock Holmes, Treasure Island, Dracula, and the normal assortment. My early love was the Star Trek novels, I'd read them or the Hardy Boys relentlessly. For a time I could tell you the plot of over a hundred books not to mention comics. I have to come clean and say that I learned to read because of comic books. I was bored, make that extremely bored when we started to read in school. Reading "the cat fell down" really didn't interest me. My dad, who continues to astound me with his insight to this day, figured comics would work. With that in mind he went to the newstand in town and bought issues of Donald Duck, Scrooge McDuck, Tales From the Crypt, and Spider-man. He patiently read through them with me until I picked it up. Whether it was him or the comics I learned to read in about two weeks and for a while few were as good as I was. For years after that whenever we'd go out he'd always spring for a couple of comic books for me. While it wasn't exactly the perfect beginning everything I've ever read or have seen has influenced me in some way and now is the time I'd like to share some of the ideas I've had over the years with all of you. I hope you enjoy my stories, they're always fun to write and I don't see myself stopping anytime soon. 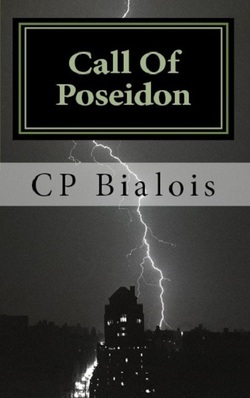 From the imagination of CP Bialois, author of Call of Poseidon and the Sword and the Flame series, comes a collection of short stories filled horror and suspense. Nothing is as it seems in the world around us. Join us as we step through the doorway and into the unseen workings of our world. With each story, Skeleton Key will warm your heart with a brother’s love, break it with the ultimate betrayal, and bring the shadows around you to life. From the dawn of their world, dragons have fought to control all those they deemed beneath them. With Pyrain on the brink of destruction, peace was found and the dragons returned to their hidden burrows to sleep until the world was ready for them to return. One, a giant red dragon, has planned for his own release for hundreds of years. Will Berek and his friends prevent the end of their world or will the great Fyrelynx rise to rule the land? Before Atlantis disappeared beneath the waves it was a thriving city populated by the descendants of Poseidon. To protect his children the Greek God of the Sea gave them a conch shell from his necklace. According to legend whoever held the conch could summon the power of Poseidon to do their bidding. With their island nation gone the remaining survivors went underground as they worked to build their nation back to the power it once was. A secret society wants what was once their property and they’re willing to kill for it. Their top assassin is sent to steal the Conch of Poseidon from the Museum of Natural History in New York. With two dead security guards left in her wake the Raven leads her pursuers through the streets of New York. As he is forced to face demons from his past police detective Floyd Reese is forced to deal with his own demons as he’s forced to work with a rookie FBI agent to solve the case. Can the powers of an ancient Greek God influence the modern world? In a world where magic and the sword rule and dragons are forgotten, a band of friends find each other but can they overcome their own fears and trials in time to fulfill their destiny? 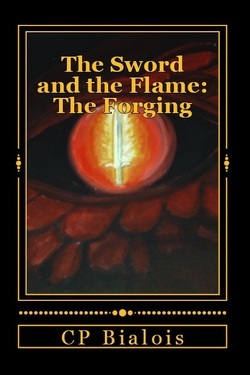 Their adventure begins in The Sword and the Flame: The Forging. Before a weapon can be used, it must be forged in the fires of life.